Aspheric Monofocal Lens – The aspheric lens is a non-spherical lens that can mimic the shape of your natural lens. Just like the natural lens of your eyes, the aspheric monofocal lens allows all the light to focus onto one central point. These lenses are beneficial because they keep your vision sharp no matter what lighting condition they are exposed to. Multifocal Intra-ocular Lens – Designed using a combination of strengths of the optical principles used in telescopes and microscopes, multifocal intra-ocular lenses can provide quality vision at all distances. Most patients report experiencing excellent vision for objects at near, intermediate, and long distances after undergoing the most professional cataract surgery Macomb provides. 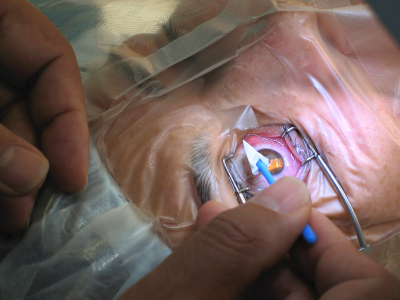 Spherical Monofocal Intra-ocular Lens – The standard lens used in cataract surgery provides clear vision for objects at a single, set focal point. For this lens, the surgeon first calculates the necessary lens power for improving the vision quality at a near or long distance. In most cases, a patient would prefer going for a distance vision correction especially if they frequently participate in activities that require good far away vision. Some may opt for near vision correction, so that they can enjoy activities like reading, writing, or working on the computer. Monofocal Accomodating IOL (Crystalens) - This lens is a monofocal lens, but it can flex inside the eye to provide the full range of vision in a more natural way. The Crystalens in Michigan is the best IOL for smooth focus, and has to potential to free patients of their glasses completely. It is important to note that not one type of lens is suitable for everyone. Several factors such as lifestyle, preferences, and preexisting medical conditions can play a major role in determining which option would work best for you. There are several other types of intra-ocular lenses available as well, so make sure you check for those options before undergoing the best cataract surgery Macomb has to offer. Consulting your ophthalmologist about the benefits and risks associated with each option would be a smart move.